The Census of the population of the United Kingdom was undertaken on 5th April. The population of the UK that included England, Scotland, Wales and Ireland (all the 32 counties of Northern Ireland and what is now the Irish Republic) was 37,732,922. Eton Wick is described as the part of the civil parish of Eton comprising all the houses and cottages west of the Great Western Railway including Eton Wick, Lillywhites Farm, Saddocks Farm and Eton Sewerage Farm. The whole in the parliamentary division of South Bucks. The registration District was Eton, Bucks and the sub district Eton. Enumeration District No. 6 and the enumerator was John Langridge. It should be noted that Eton Wick in 1891 only included the houses on the northern side of the Eton Wick Road as far west as Bell Farm. 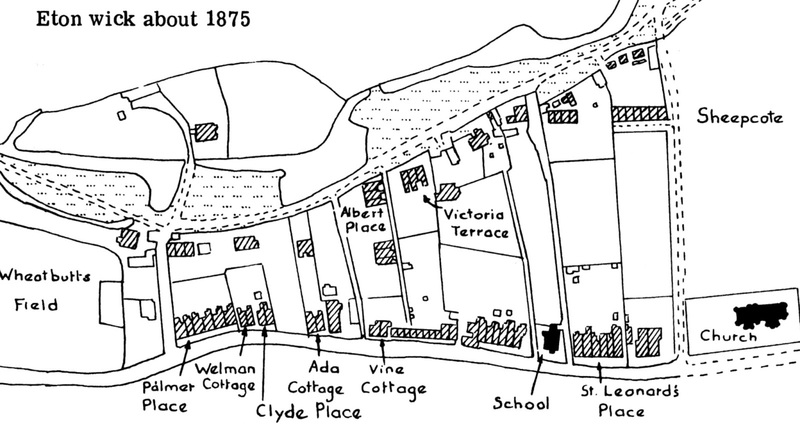 The map of around 1875 gives an indication of the extent of the village. The 1891 Census reveals that there were 102 households and 456 people resident in the village on the 5th April. The oldest person, William Woolhouse was 86 and was born in 1805. There were three residents in their 80’s. The youngest at less than one month was George Greenfield. There were 4 babies born in the first three months of 1891. We will be looking deeper into what the census reveals about Eton Wick and publish our findings in future articles. This is the first step on our Census Project that will over time cover all the records from 1841 onwards. Click on this link to view the 1891 census transcription for Eton Wick. Or copy and paste this URL into your internet browser search bar. 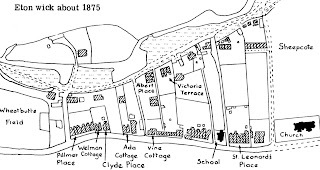 The map of Eton Wick was first published in The Story of a Village: Eton Wick 1217 to 1977 by Judith Hunter.